I’m heading to SARScene 2011 in Winnipeg, Manitoba on Friday. I’m presenting my talk “Crowdsourced SAR” — I’ll post it here after I get back, along with some other information. I’ll also blog and/or tweet while I am there so if you’re interested in what goes on at Canada’s national SAR conference you’ll get to see some of it. I might post pictures. The last time I went to SARScene was in 2007 when it was in Victoria, BC. My team attended in force that year; we sent 16 people to the conference, gave a rope rescue demonstration as part of a multi-agency SAR exercise, one member delivered a presentation on volunteer retention that was very well received, and we fielded two teams in the SAR Games. The 2007 SARSCENE Games also featured a special prize for the best overall performance by an all-volunteer team. 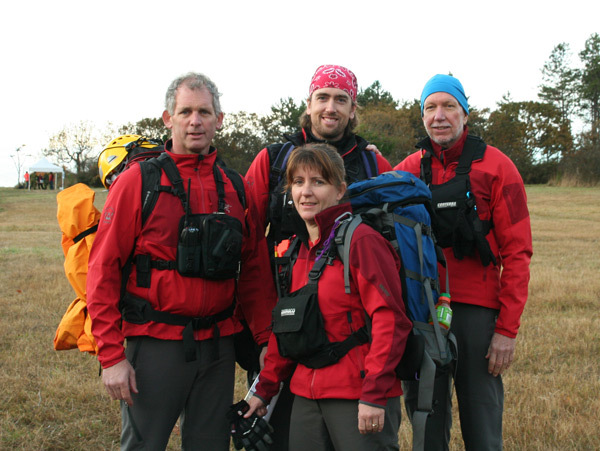 In recognition of their 4th place finish, Coquitlam SAR Two received four land mobile transceivers from ICOM Canada. Yes, my team and I won for best all-volunteer team. It was pretty sweet. We still have those radios. This year I won’t be participating in the SAR games; my team can’t make the trip and nobody can win without a team. But I’ll be sizing up the competition (I’ve got my eyes on you, Irish Coast Guard!) and we will be ready next year.